It’s not something you generally want to think about but it’s something that must have a large impact on the parents. 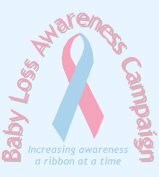 Over 6,000 babies die at or around birth every year in the UK leaving a lot of families that have to deal with the loss of a baby. It’s hard to imagine what they go through. This entry was posted on Thursday, October 12th, 2006 and is filed under Babies, General. You can follow any responses to this entry through the RSS 2.0 feed. Both comments and pings are currently closed.